In contrast to the historical ideal of Manifest Destiny, in which the conquest of the land was held to be a biblical right imbued to God’s loyal followers, a contemporary breed of religious practitioners are working to combine faith and ecology in new ways. Often found under the movements entitled “ecotheology” or “green faith,” religious practitioners of all denominations and creeds are acting to conserve what they consider to be God’s creation, following tenets many believe are already in line with their religious practices. PERC Enviropreneur Institute graduates Fletcher Harper (‘07) and Stacey Kennealy (‘10) are looking to these religious groups to take action and work toward improving environmental quality. While there doesn’t seem to be much in common between those placing their faith in markets and those putting faith in the divine, Harper and Kennealy’s interfaith coalition, GreenFaith, recognizes that incentives matter. 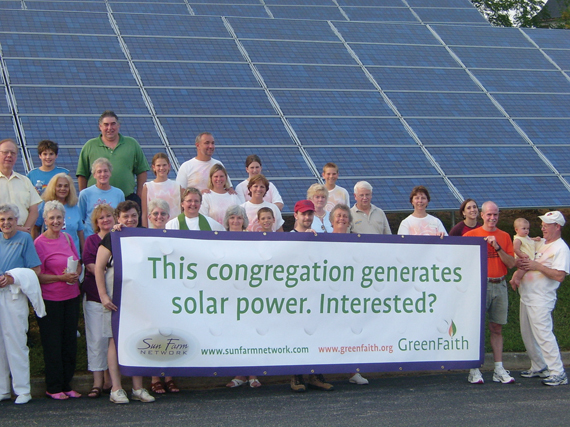 Thus, GreenFaith has used lessons garnered from PEI to attract new congregations to their Certification Program by touting the benefits of financial savings, as well as engaging new and younger members. The major force driving GreenFaith’s success, therefore, has not been morals, but the promise of growth – and this strategy is having success. Read the full article here in the spring issue of PERC Reports.